When Modi was declared his party's prime ministerial candidate last September, Obama could have quietly issued a visa waiver. Story over, strategic partnership back on track. Yet Obama has kept the visa ban in place, reaching out to Modi only to the extent of sending his ambassador to Gujarat to meet him in person. So here we are with a newly elected and visa-less PM Modi. How long are American policymakers going to let this wound fester? Are they prepared to go years without reciprocal state visits? Prepared to watch old defence deals sour, and new ones go to the Russians? Obama's inaction on the visa is inexplicable. Did Obama's respect and affection for Manmohan Singh deter a clear-headed presidential assessment of Modi's potential importance to the US? Did Obama hope that Rahul Gandhi would somehow conjure up an electoral victory and thereby make the Modi visa issue disappear? If so Obama just wagered the health of the Indo-US relationship on the outcome of an election. And lost. Q: Do you believe a BJP-led government headed by Narendra Modi will bring about a complete change in Indian politics, including within the BJP itself? A: The short answer is no. India is too complicated, too complex and too constitutionally structured, I think, to have that kind of radical change. Within the BJP, are there changes happening? Yes, that's both going back to the formation of the Jan Sangh and the BJP, to today. Today the BJP has comparatively few full time RSS pracharaks. The second thing is that Modi's success has much to do with almost taking control of the party in ways that had not happened before, certainly not under (Atal Behari) Vajpayee who was the previous BJP prime minister. Modi, when Chief Minister of Gujarat, he became the power inside the BJP. To an extent that was due to the fact that the cadre was enthusiastic about him in ways that the leadership was not. And the same is true in the RSS. It was the cadre of the RSS that was extraordinarily supportive of him and forced in ways I've never seen before, the senior leadership to make a decision of this importance to back Modi. Q: How do you think Modi will deal with a resurgent RSS, especially one led by a younger Mohan Bhagwat? A: The RSS is not resurgent. And in the BJP it is of diminishing importance ever since the early 1980s. 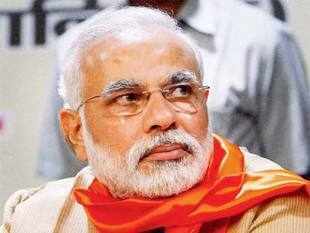 Modi did not have a very close relationship with the RSS leadership in Gujarat. Modi is his own man. And they had some problems with him. There's a certain fear in the upper ranks that the cadre owe more loyalty to Modi than to the RSS. Q: So you don't believe popular support that brings a BJP-led government to power could also indirectly help the RSS in shoring up its influence? A: It may help, but that's not what Modi's purpose will be. In fact I asked a friend that very question of the RSS in Gujarat. And it may have marginally enhanced the attendance at their daily shakhas but it did not give the RSS any particular advantage in the governing of Gujarat at all. My guess is it probably will be the case again. One because of what we've been seeing in terms of the RSS-BJP relationship. The other is as with Vajpayee, the BJP likely will have to rely on allies, many of whom depend on Muslim support. And I think that explains why in the campaign Modi said almost nothing about Hindutva issues. His problem however is going to be the right wing, of both the BJP and the Sangh Parivar. It's the Togadias of the world, they will have to be handled. 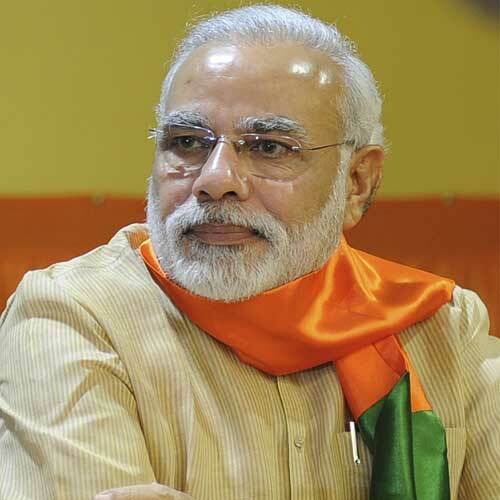 Q: Modi's metamorphosis is most remarkable-from one described as the "butcher of Gujarat". A: Who describes him that way? Q: His political opponents of course, and also in media coverage in earlier years he was seen as being responsible for, or at least did not discourage the violence. A: He didn't do enough to handle the situation, that's been the kinder version...acts of omission rather than commission, rather than to say he did it entirely. He was a full time RSS worker, had gone through all the training camps, had obviously impressed the RSS leadership. His entry into politics was within that Hindutva context, however he began to move away from that as Chief Minister. And people who followed his career noticed that one, the RSS organisation was sidelined, and he's had a running battle with some of the right wing of the BJP in Gujarat. Q: Do you believe the way Modi approached governing in Gujarat, (the focus on economic development) was a strategic thing or was it something done out of conviction that he had to be neutral? A: I have no way of reading his mind, and nor does anybody else. All we know is that he has shifted the way he's approached issues since coming to power. His focus really has been on development, jobs, that sort of thing. The complaint has been, did he express sufficient remorse for what happened (during the 2002 riots)... but the fact is he probably has not expressed strong remorse in part because I don't think he thinks he is guilty of doing something. He's said publicly during the campaign that he is sorry for what happened but that's not very strong. Q: Does it indicate a sense of desperation among Indian voters that they are willing to overlook Modi's record and give him an opportunity to govern? A: I think the Indian voter, particularly the younger voter, has a certain amount of desperation. They are looking for jobs, they are looking for firm leadership. India has a huge number of underemployed and unemployed people, and huge numbers in the countryside who are barely eking out an existence. And in most elections I've seen, except for the true believers, most people vote in the context of what the alternatives are. And the alternatives are for most people, Rahul Gandhi in the Congress, a third front government of several very different sorts of parties, or Modi. Q: What do you think is likely to happen to the Congress? Will they still rely on the Gandhi family when the nation is so emphatically telling them that a surname doesn't matter? A: Let's face it, the Gandhi-Nehru family has provided the glue that has tended to keep the Congress party together. My guess is it probably will continue to do that. Q: Do you see at all that there might be a feeling within the Congress that there needs to be a smaller role for the family or don't you see that changing? A: I haven't seen people within the party suggesting that even as a theoretical possibility. They may be thinking that, but I haven't seen that expressed anywhere. Q: Would that (reliance on the Gandhi family) be harmful for the Congress, going forward? A: Rahul Gandhi has advocated having more democracy in the party and I think he's serious about that, which I personally think is a wise decision if he were to do so. Will he and the rest of the family continue to have influence? I think it's almost certain they will. Q: What's your assessment of this election? Do you see it as a triumph of will of one man versus the lack of ambition of another? A: So many people say that Rahul seems to lack commitment to the political vocation, I'm not sure whether that's true or not. And that Modi seems to be totally consumed by politics. On that they may be closer to the truth. Here is a man who came from a very poor family, and low caste besides, and literally worked his way up by sheer personal effort. So there's something that happens to you when you are in that situation. You tend to rely on yourself. Q: You last met Modi in Delhi last June. How did your impressions differ from your earlier meetings with him? A: More self-confidence, more in control of the facts, very sure about what he was doing. Over the years I've noticed a person who's ambitious, had a strong sense of getting things done, and enormous energy. He's a nationalist and the notion of a strong India is important to him. And being from a poor family, the idea of having development that affects the poor when I saw him, he actually went into that issue. I'm almost exactly quoting his words, that 'I know what it is to be poor.' He said most Indians are poor, this is a country in which the majority of the people are poor. Like most senior politicians, loyalty is a very important issue for him. He can and does delegate authority, but he demands when he does that, that people do things. You know the Hindi phrase ho jayenge, oh it will happen, that I think would drive him up the wall. Because nothing happens unless you make it happen. Q: Have you asked Modi for his views on the denial of the US visa? A: We did briefly discuss US-Indian relations but we didn't get into the visa issue. He never brought it up and nor did I, but he recognises that for strategic and economic reasons, the US is going to remain very important for India. His focus is not on foreign policy, it's domestic. But he has a Look East policy; South East Asia, and particularly Japan and China are areas where he expects much more Indian interaction. Kiev’s Jumping Jackboots… It’s a Gas, Gas, Gas! Well ain’t it a gas! The Western-installed neo-Nazi regime in Kiev wants to join the European Union and the US-led NATO military alliance in order to allegedly adopt Western standards of market principles and law. So they say, anyway. Yet, in the capitalist West one abiding principle is that if you don’t pay your bills on time, then the bank or utility company can sue the customer for non-payment, leading to foreclosure or the utility supply being shut off. In Kiev, the Western-sponsored coup, posing now as a sovereign government of Ukraine led by the self-styled Prime Minister Arseniy Yatsenyuk, wants to assume the responsibilities of state power. Their main responsibility so far is to wield a monopoly of state violence against so-called terrorists and separatists in the east and south of the country, who happen to dissent from the regime’s illegal self-imposed rule. But in every other way the junta refuses to conform to supposed Western standards by point-blank denial of honouring colossal financial arrears to Russia for years of natural gas fuel supply. Over half of all Ukrainian natural gas consumption is supplied from Russia. The gas bill is well overdue, with billions of dollars-worth outstanding. Alexei Miller, the head of Russia giant gas company Gazprom, has warned that if Kiev does not pay up $1.6 billion – a fraction of the outstanding debt – then the gas deliveries for next month are to be stopped forthwith. The Kiev regime has reacted with jackboot arrogance to what is a normal market principle – a principle that it is allegedly keen to uphold as part of its craving to join the EU and the capitalist Western camp. The onus on the Fatherland Party of Yatsenyuk and its Svoboda neo-Nazi partners is to pay up on the country’s gas utility bill. If these imposters want to be a government then there are responsibilities other than wielding state military power – such as paying your country’s fuel bill. Yatsenyuk and his fascist cohorts have not only refused to pay up on their Russian gas debts. They are threatening to take Russia to court, accusing Moscow of abusing political power, intimidation and using gas as a geopolitical weapon. Can you imagine using that argument in London or New York against your gas supply company? The Kiev coup gang, masquerading as a government with the fulsome diplomatic collusion of Washington and Brussels, are alleging that Russia is acting aggressively because state-owned Gazprom has decided to remove generous subsidies on the gas supply, increasing the price by 100 per cent. Gazprom says that the subsidized gas prices were 100 per cent below normal market rates and that the previous arrangement with Ukraine was an act of neighbourly assistance to an allied country. Well, in case the Western coup did not notice, it violently seized power from the Russian allied elected government of Ukraine. The new regime has embarked on a campaign of Western-backed aggression towards Russia and Russian-speaking people in eastern Ukraine. That kind of disqualifies the Kiev gas customer of the erstwhile privileged service it had enjoyed at Moscow’s benign discretion. So, if Russia wants to revert to the normal market-rate for gas that is Moscow’s prerogative. And it is Ukraine’s obligation to pay up, not only at the market rate, but, in addition, for all the years of arrears that Ukraine has clocked up. In effect, thanks to Russia’s generous indulgence, Ukraine has been living off free gas. Now it is time to settle the bill. If Russia is adopting a sterner attitude that is not abnormal, it is merely reverting to the normal. You would think that self-proclaimed authoritarian capitalists like Yatsenyuk would understand that. After all, the former banker has vowed to slash pensions, wages and public subsidies in order to avail of loans from the International Monetary Fund. But when it comes to getting his country’s finances in order from years of Russian cheap gas, the fiscal disciplinarian acts with the head-staggers of a drunk on a bar stool who is refused any more drinks on the tab. The showdown over Russia’s long overdue gas bill demonstrates the fraudulence of the Kiev imposters. They engage the IMF, and American and European taxpayer loans not for any genuine market restructuring of Ukraine, but rather to facilitate the economic looting of the 45 million population and their natural resources for the benefit of Western vulture capitalists. The debacle of refusing to pay up debts to Russia for years of unpaid gas consumption deciphers the real nature of the regime in Kiev. It is all about making up rules, principles and laws that are self-serving for its own petty aggrandisement and that of its foreign sponsors. And yet these country-selling traitors have the gall to call themselves «nationalists» and «Fatherland Party». Russian President Vladimir Putin flies to Shanghai next week. He is expected to sign historic energy deals with Chinese counterpart Xi Xiping on the development of massive gas and oil projects that will make the recalcitrant Ukraine seem like a gadfly. The jackboot arrogance of the Western junta in Kiev wants everything their way. They threaten Russia, attack ethnic Russians with deadly state-sponsored terrorism, and then turn around and refuse to pay up their gas bills. Russia does not need this gadfly irritation. And the puny strutting imposters in Kiev will learn the hard way from the reality of the principles they presume to promulgate. As the Rolling Stones nearly sang: Jumping jackboots, it’s a gas, gas, gas! Ironically, the ideological Nazi forebears of the Kiev junta were also keen on gas consumption for nefarious purposes. In the end, there’s always a bill of sorts to pay for your misdeeds. Narendra Modi, the right-wing, pro-Hindu nationalist Indian politician and chief of the conservative Bharatiya Janata Party (BJP), and the man who polls suggest will become the next prime minister of the world’s most populous democracy, has long courted political and trade links with the state of Israel. Modi’s ties to Israel, which BJP officials strongly endorse, has turned into a financial bonanza for the western Indian province of Gujarat, where he has served as chief minister for the past 13 years. One of the wealthiest and most industrialized states in India, Gujarat serves as a kind of crown jewel of Modi’s campaign, which calls for a resurgence of the nation’s overall moribund economy. Under Modi’s leadership and encouragement, Israel has poured billions of dollars of investment into Gujarat. Officials from both Gujarat and Israel have visited each other over the past few years to deepen trade and economic links. Ongoing mutual endeavors include projects in industrial research and development, solar and thermal power, pharmaceuticals, infrastructure, water recycling and water desalination plants. For example, late last year, India entered into agreements with two consortia including Israel’s Tower Semiconductor Ltd. (NASDAQ: TSEM), also known as “TowerJazz,” IBM Corp. (NYSE: IBM), Silterra Malaysia Sdn. Bhd. of Malaysia and STMicroelectronics NV (NYSE: STM) of Switzerland, for the construction of two semiconductor fabrication plants in India, one near New Delhi, the other in Gujarat, at a total cost of some 634.1 billion rupees ($10.4 billion). India not only generates investment dollars from these deals, but also reduces its dependence on having to import chips. To attract foreign chipmakers, the Indian government has offered tax breaks, a 25 percent subsidy on capital spending and interest-free loans of about 51.2 billion rupees for each plant. Medianama reported the two plants will create 22,000 jobs. FirstPost noted that India’s consumption of semiconductor products is projected to skyrocket from $7 billion this year to $55 billion by 2020, meaning many more such fabrication plants will be required. But this is only one small part of Israel’s ambitious investment plans for India and, in particular, Gujarat state. Israel National News reported that the Jewish State seeks to found an industrial development fund with Gujarat, citing comments made on Indian television by Israel’s consul general in Mumbai, Jonathan Miller. “Gujarat is a business-oriented state and this [memorandum of understanding] will help both Israeli and Gujarat-based companies in developing and strengthening the industrial relationship,” Miller said. “Our focus is on increasing research ties with Gujarat. Israel is keen to increase research and development (R&D) and cultural ties with Gujarat.” Miller added that he also wants India and Israel to sign a free-trade agreement. As for Modi, the controversial chief minister of Gujarat was long treated as a pariah by Western Europe and the U.S. for his alleged involvement in communal riots in his state in 2002 between Hindus and Muslims, which killed at least 1,200 people. Although he was absolved of any complicity in those massacres by a panel of India’s Supreme Court in 2012, Modi remains an extremely polarizing figure. Alas, during his years in the wilderness, Modi was forced to look elsewhere for trade deals — namely the affluent and powerful non-western democracies of Japan and Israel. Indeed, in January 2013, Modi personally hosted the Israeli ambassador to India Alon Ushpiz in Gujarat to discuss deepening trade ties. But long before Modi appeared on the scene, right-wing and Hindu nationalist figures have praised and supported Israel. Several prominent Hindu figures, including Vinayak Damodar Savarkar, Sita Ram Goel, Arun Shourie, among others, have explicitly condemned anti-Semitism and endorsed the formation of Israel. India recognized Israel as long ago as 1950 — but the relationship has complicated India’s links with the Arab and Muslim world. As a result, India has taken a delicate stance with Israel, rarely ever making any provocative statements regarding the endless intrigues in the Middle East. Indeed, India is dependent on oil from Iran and Saudi Arabia and has sent millions of migrants to work in the Middle East since the 1970s oil boom (providing India with much-needed cash remittances). Thus, India must be circumspect in how she deals with Israel; in fact, New Delhi typically votes against Israel in the United Nations. But that hasn’t stopped the two countries from entering into numerous big-money agreements in the areas of defense, security, energy, aerospace engineering and agriculture. Defense trade between Israel and India amounts to some $10 billion alone, according to reports (thereby making Israel the number one arms supplier to India, supplanting Russia). But there have been many bumps along the way. In the 1920s, when Indian nationalists agitated for independence from Great Britain, they allied themselves with the Palestinians and strongly opposed Western/Zionist plans to form a Jewish state. Interestingly, the two most famous Indians of the 20th century differed on their views of Israel. Mahatma Gandhi was opposed to the creation of Israel since he did not think a country should be based on religion (paralleling his opposition to the partitioning of the Indian subcontinent into Hindu India and Muslim Pakistan). However, India’s first Prime Minister Jawaharlal Nehru strongly supported the creation of Israel and was close to several prominent Israelis, including David Ben Gurion, the country’s first prime minister. In 1947, as India had been cut into two countries (India and Pakistan), the “new India” nonetheless voted against the partition of Palestine at the U.N. General Assembly. India finally recognized Israel in 1950, but remained politically in the camp of Muslim Arab countries who demanded a state for Palestinians. It really wasn’t until 1991-1992 that Israel and India started developing deep diplomatic and trade ties. India has had many good reasons to side against Israel: It had to appease its huge Muslim minority; the country feared that the Arab nations would favor Muslim Pakistan over India in various geo-political affairs (particularly the territorial rights to Kashmir); and, perhaps most importantly, its heavy dependence on Arab/Iranian oil and gas. Behind the scenes, however, other arrangements, many of them secret, were established between New Delhi and Jerusalem over the decades. Reportedly, as long ago as the early 1960s, Israel offered India military and intelligence assistance with respect to India’s various conflicts against Pakistan and China. Israeli Defense Minister Moshe Dayan apparently even made a secret visit to India in the mid or late 1970s to formalize military cooperation projects. Now, the BJP is especially warm to Israel, partly due to the BJP’s intransigent hostility toward Pakistan and Islam in general. BJP has praised Israel repeatedly as a bulwark against Islamic terrorism. In 2003, when Ariel Sharon visited India, the Hindu nationalist Rashtriya Swayamsevak Sangh (RSS) movement stated: “The entire world acknowledges that Israel has effectively and ruthlessly countered terror in the Middle East. Since India and Israel are both fighting a war against terrorism, therefore, we should learn a lesson or two from them.” India’s and Israel’s shared role as victim of Islamic terrorism seems to be a uniting and pervasive theme in the countries relations. In addition, Israel has called for India to become a permanent member of the United Nations Security Council. Modi himself has visited Israel as chief minister, suggesting that, as the possible next prime minister, he could make history by journeying to the Jewish state. Sumit Ganguly, professor of political science and director of the Center for American and Global Security at the Indiana University School of Global and International Studies in Bloomington, commented that he doesn’t think closer ties between India and Israel (under a Modi administration) would necessarily hurt India’s relations with Arabs, “unless Modi does something rash. “Bear in mind that the BJP, when in office, deepened ties with Israel but nevertheless managed to maintain good relations with the Arab world and Iran,” Ganguly added. Michael Kugelman PhD, an expert in South Asian affairs at the Woodrow Wilson International Center for Scholars in Washington, D.C., commented that India’s relations with Israel have been quite strong in recent years, and Modi in power would simply strengthen this relationship even more.